Issue 13 of Purple Myrtle Squeegy is complete! 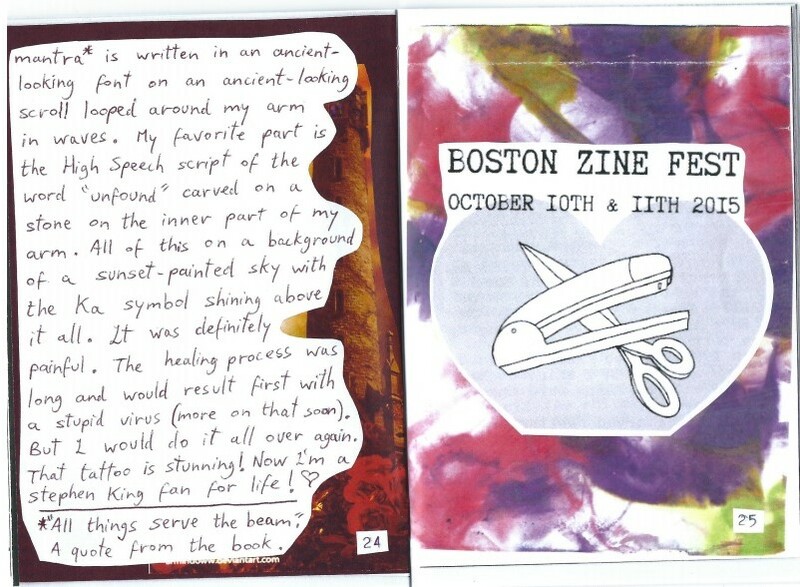 I had an amazing time in Salem and Boston and I though what better way to commemorate my first zine fest experience than to make a zine about it? 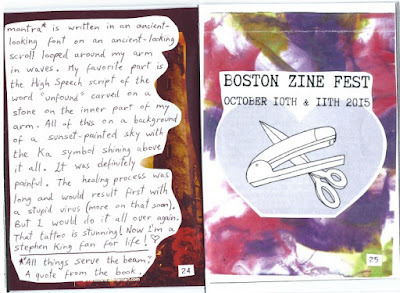 My fellow split-zinester, Nyxia Grey (you may remember her from such split zines about Stephen King and a special about journal entries) invited me to glorious MA to visit Salem and its October spookiness and table with her at the Boston Zine Fest 2015. 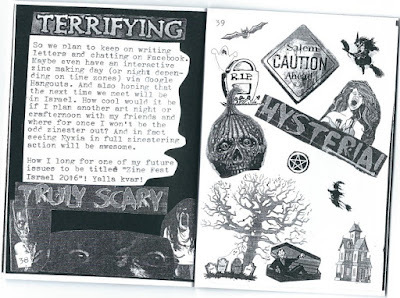 This zine recounts all my adventures in Salem during its Haunted Happenings, touring the city, making art with Nyxia, getting an incredible tattoo, and of course, tabling at Simmons College and making my zine fest dream come true. 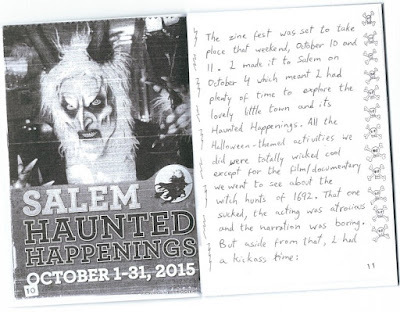 It features lots of photos in full color, lots of bats and ghouls, lots of zine love and all the magic of DIY culture and the wicked witchy beauty of Salem. 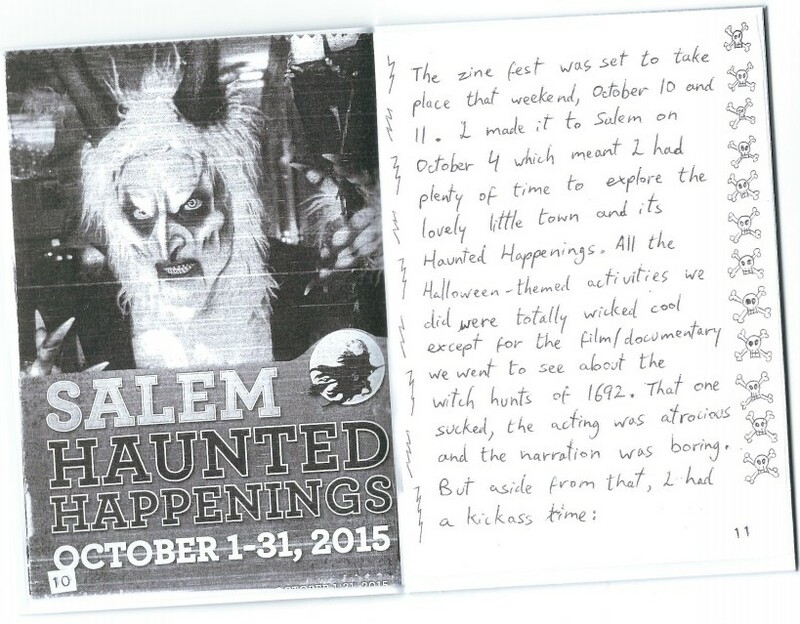 All cut and paste, typewritten and handwritten. 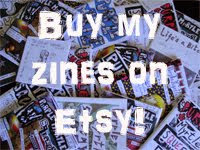 You can get it by trading it with zines or with cheddar. I also accept love letters and scented candles.